Wessex Mill Clarks (Wantage) ltd, Wessex Mill, Mill Street, Wantage, OX12 9AB, United Kingdom. Our courier will send an email with an estimated delivery time (1 hour window) for your order on the day of delivery at around 8.30am. 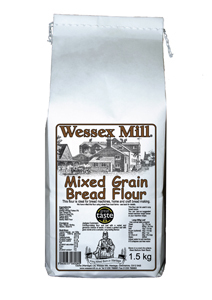 You will find a large range of flours on our website. Our flour is different. 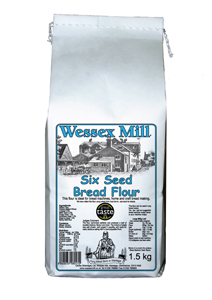 It has been milled using wheat grown locally around the mill, you will find the names of the farms on the back of every bag. Above all, it is milled to produce top quality bread time after time. Frozen Sour Dough Starter now available from the mill shop and online shop. 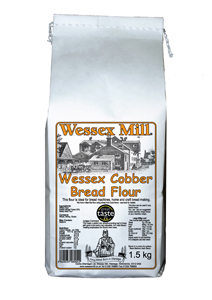 Our sales are climbing each year as the word gets around that our flour gives excellent results, making bread making easy and rewarding. 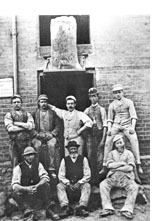 Mill front door in 1895. 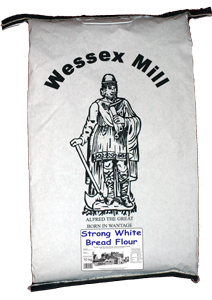 Above them the flour sack displays the emblem of King Alfreds statue. The mill must have been one of the first to use the statue to sybolise Wantage, as is frequently done now. The mill has greater claim than most, being the town mill, and probably the mill of an ancient royal villa that belonged to the Kings of Wessex and possibly to Alfred himself. 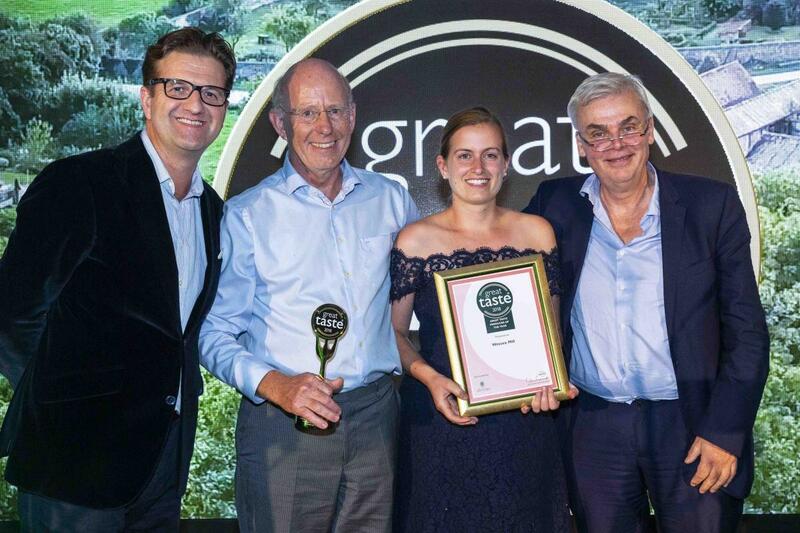 This year we scooped Great Taste accolades for 11 products, including its Great Taste 3-star winning Six Seed Bread Flour, 2-star Wholemeal Spelt Flour and 1-star Pasta and Pizza Flour. We where also awarded the coveted producer of the year award. Wessex mill are proud to announce that a new generation of the family has decided to become a miller! Emily is going to be learning every aspect of milling and the business. Keep updated with her progress at the mill on her blog "Miller, Born and Bread" on facebook. A village bakery based in Wheatley, Oxfordshire. During the day we make Sourdough (wild yeast) bread, long ferment bread, Ciabatta bread & I will demonstrate my effortless 24Hr no knead bread. Having problems with your machine click Here. Especially if you have bought a new machine and seeded bread flours aren't working. By statute I have to put Calcium, Niacin, Iron and Thiamin into any white wheat flour that I mill.